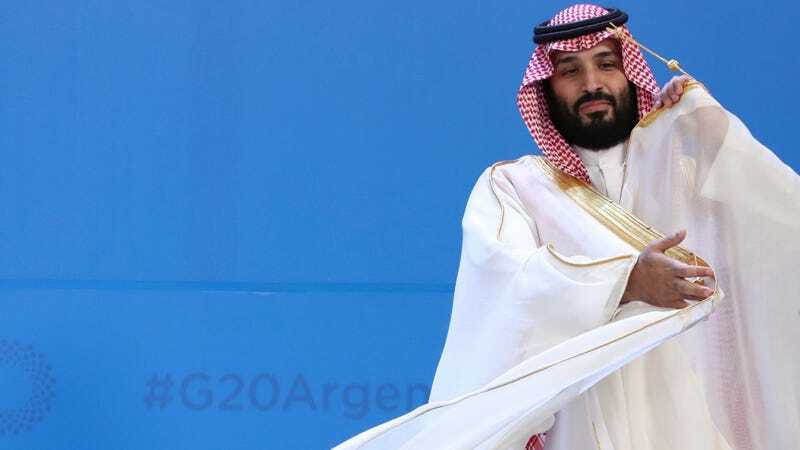 Saudi Arabia’s Crown Prince Mohammed bin Salman at the G20 Leader’s Summit at the Costa Salguero Center in Buenos Aires, November 2018. According to CNN, IAEA Deputy Director General Mikhail Chudakov confirmed earlier this year Saudi Arabia has made “significant progress” towards building an infrastructure for nuclear power, while Kelley said the next phase will require intensive international inspections. The AFP recently reported that the IAEA is asking the Saudis to move from a largely unregulated small-quantities protocol to a more comprehensive agreement with more safeguards (which it may need to resupply the facility with fuel). Recent reports indicated that Secretary of Energy Rick Perry had signed secret authorizations allowing six U.S. companies to conduct preliminary work on the reactor-building program. Per the Hill, some legislators are furious that these deals were signed without first obtaining what is known as a 123 agreement (which would mandate the Saudis abide by restrictions preventing them from using the technology for military purposes), which the Saudis have resisted, or consulting Congress, which they believe is required under the Atomic Energy Act of 1954.